Pontoon is the best known variation of blackjack game. Two variants of it can be found. One of them is called RTG Pontoon, it is played in online casinos. The other one is gambled in Australia and its rules are very close to American Spanish 21. It is played with decks of cards consisting 48 cards (without 10s). Pontoon is a hand of an Ace and any of Face cards. The aim is to score 21 or close to without exceeding it. Pontoon and 21-hands are paid immediately. Dealer always hits on soft 17. Doubling after split is allowed, except splitting Aces. It is allowed to double down on 9, 10 and 11. If a doubling was on a soft hand - Ace counts as 1. The surrender is possible after doubling and if a dealer has among his/her first cards an Ace or any Face cards. 8. All payments are made according to Blackjack Payout Odds. It is played from 4 to 8 Spanish decks (without 10s). Aces re-splitting may or may not be allowed. Doubling with two or any number of cards. Original Bets Only (OBO). If a dealer has a blackjack, the player loses only his original bet. Busted Bets Plus One (BB+1). 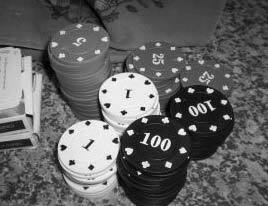 The player loses any busted hands plus the amount which is equal to the original bet. Original and Busted Bets Only (OBBO). Player loses busted hands and the sum equal to the original bet per hand. European no Hole Card (ENHC). If a dealer gets a blackjack, player loses every bet on the playing table.